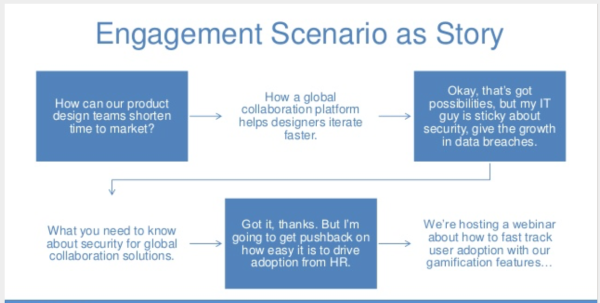 Ever been part of a team that skipped over creating personas to get to the “real work”? Or maybe you had personas, but everyone ignored them. Personas are easy to dismiss. Who the heck are we going to talk to? Why will they care? What are we going to say that’s relevant to them? Those are exactly the questions that well-formed personas answer. 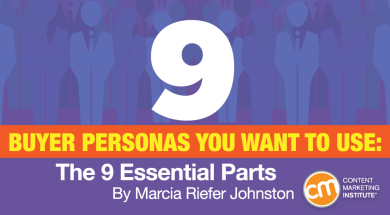 In this article, I summarize what Ardath identifies as the nine essential parts of a buyer persona. When you include all nine parts, you end up with personas that you and your team want to use – personas that help you make good decisions about the content you create and manage for prospective buyers. All quotations and images come from Ardath’s talk. A persona is a composite sketch of a target market based on validated commonalities – not assumptions – that informs content strategy to drive productive buyer engagement (i.e., revenue). A lot of us get excited when we find a unique attribute of one of our customers. We think, ‘Oh, this is cool. 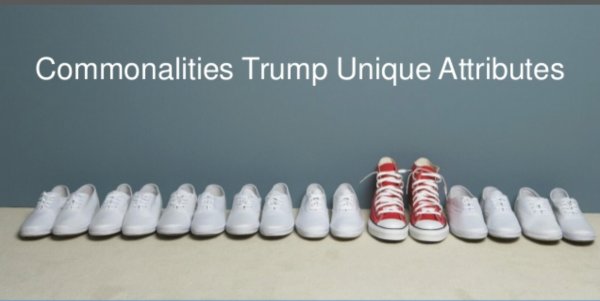 Let’s focus on this.’ The problem is, if you focus on the interests of the person wearing the red shoes, you miss all the people in the white shoes. Unless you’re advanced enough to do one-to-one personalization, which I haven’t seen very often except in smaller account-based programs, you need to focus on the commonalities. Focusing on commonalities allows marketers to be relevant to a wider swath of that target market. To get value from your personas, you have to take the time to build them with enough depth and insight to enable your team to generate ideas and topics that resonate. A useful persona also informs you about tone of voice and style. Read on to discover how Ardath suggests building each part into a persona that you and your team want to use. Want to create content with the perfect tone and style? Ann Handley, Doug Kessler, and more share their secrets in this 60-page eBook. Everything you ever wanted to know about capturing the heart of your brand with perfect pitch. Don’t describe the persona to the reader. Have the persona talk to the reader in first-person. 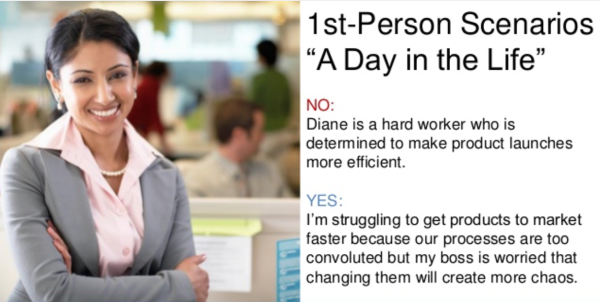 In this example, the third-person description (“Diane is a hard worker”) gives some insight into Diane but not as much as the first-person phrasing (“I’m struggling”). Often we develop personas in silos. We fail to look at the “overlay.” If personas are going to serve us, they need to include relationships with other personas. The description that mentions the boss, for example, might inspire the content team to create content that helps people like Diane to convince their bosses to make a change. The day-in-the-life component “doesn’t need to be a novel,” Ardath says. About 300 words should do. Make your persona’s objectives (goals and responsibilities) specific. 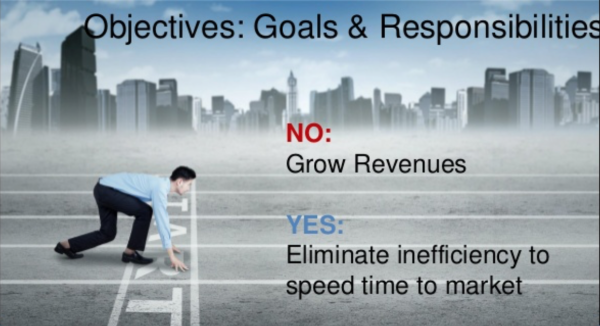 For example, the objective “grow revenue” is too broad to help anyone create relevant content. On the other hand, if you say something insightful – and targeted – for example, this persona wants to “eliminate inefficiency to speed time to market” – you give content creators something they can use. Something they want to use. Again, express the persona’s main problems in specific terms. If you were asked to write something helpful for readers you’ve never met, which problem description would you rather be handed? “I can’t tell you how many personas I’ve seen that say ‘married with two kids and a dog, lives in the suburbs, and makes $125,000 a year,” Ardath says. This kind of description could prove helpful if you sell homes or cars, but for many buying contexts, this kind of information is gratuitous. The more details you include about the persona’s professional demeanor, the more that persona can help your team decide what content to create and how to communicate in a way that engages the people your company wants to engage. Look for things like ‘He has been in this career for 20 years.’ What does that tell you? You’re talking to someone who has been around the block. He knows how to get a deal done. If you know that you’re addressing a confident leader, you know what tone and style to use. If you know that he mentors his team, you know to talk about how your solution will elevate his team’s skills. For example, let’s say your persona has an influencer or buying-committee member named Tom. She might need information to convince Tom to keep moving forward. Have you provided that information? 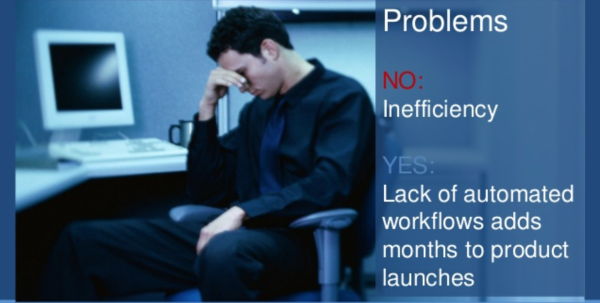 If not, you may want to create some content that helps people eliminate this kind of obstacle. Questions are Ardath’s favorite component of personas: “You need to figure out what questions your persona would ask at every step along the way.” Questions form the foundation of conversations. People ask something, you answer, and then they say, “That’s great, but what about this?” And so on. Each time you answer a question, you open the door to the next question. “We need to set ourselves up to be mentors, to help people solve a series of problems,” Ardath says. When you use this approach, people who engage with a certain set of questions are telling you where they are in the buying process. We can create content that not only informs our prospective customers but also informs us about our prospective customers. “Getting the questions right for each stage of the buying process is a critical piece of building a persona. Questions can inform a lead-nurture program. They can inform lot of things,” Ardath says. Channels: What channels do they prefer? Social media: How do they use social media? Content: What tone and style and voice engage them? Are they more inclined to engage with content that has a glass-half-full perspective or do they need a stick – “Hey, you’re exposing yourself to a lot of risk if you don’t do this”? Formats: Do they prefer text? Audio? Visual? Long form? Short form? Interactivity: Do they want ROI calculators? Infographics? Quizzes? Webinars with Q&A sessions? Media: Where do they go to get information? 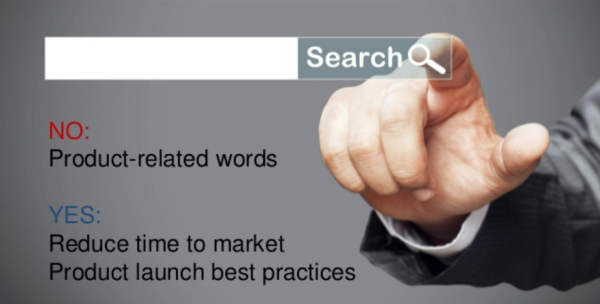 People typically search on the same phrases they use in conversation. When you talk with customers and prospective customers, notice what phrases come naturally to them in relation to the problems they’re trying to solve. Capture their most telling phrases in your persona descriptions. 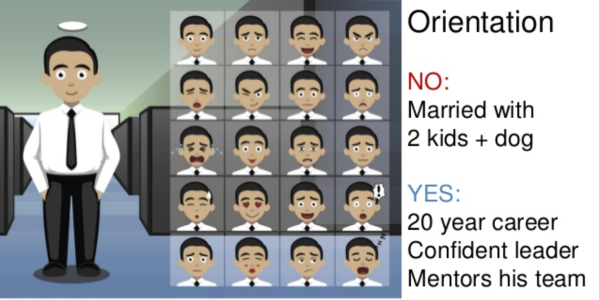 After you’ve gathered all the information about your personas, Ardath suggests pulling it together into an engagement scenario that helps your team use the information strategically. “There are a gazillion possibilities,” she says. In this example, think of the blue boxes as questions, hesitations, doubts, or concerns that your persona might have. The white statements are answers that your content would provide. How do you know what to put into each part? How do you gather the information that goes into your personas? In her ICC talk, Ardath went on to address that topic. Check out How to Build Buyer Personas That Build Sales that picks up where this article leaves off. Better yet, sign up for our Content Strategy for Marketers newsletter to have the next article delivered to you. In the meantime, please let us know in a comment what you and your team do to create personas that people want to use. 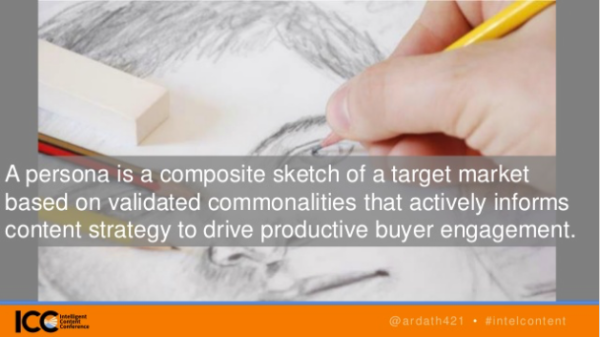 Join us when Ardath is a special guest on our #CMWorld Twitter chat about personas at 12 p.m. Eastern May 24. Or, see her speak at Content Marketing World this September. Register by May 31 for early bird savings and the opportunity to win prizes. Use code BLOG100 to save an extra $100.